The purpose of laser eye surgery is to correct refractive errors and reduce a person’s dependency on glasses or contact lenses. The procedure uses a laser to reshape the cornea, the clear outer layer of the eye, in order to change the eye’s focusing power and improve vision. There are many types of laser eye surgery, but the most common and well-known type of laser eye surgery is LASIK. Eyes usually heal extremely fast, and the results are good, with most people achieving normal or near normal natural vision. Patients leave the hospital after the procedure. If you would like to find out if you are suitable for a Laser Eye Procedure, you are welcome to book a consultation to check your suitability. Dr Van Aswegen will facilitate a suitability assessment – go to ‘contact page’ or give our offices a call. It is important to establish your suitability for the Eye Laser operation to avoid disappointment as well as for your safety. 95% of soft lens wearers. Your eyes need to be healthy and you need to be older than 18 years of age. Presbyopia (normal aging of the eye and respective loss of sharp sight) cannot be corrected with Laser Eye Surgery. Please discuss alternative procedures with your eye surgeon. Please do not wear contact lenses at least a week prior to your consultation date. This can cause inaccurate measurements. 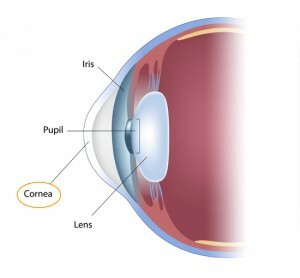 Your surgeon will advise regarding the appropriate procedure to best correct your vision. If you are not suitable for laser surgery, other options will be discussed. If you are found suitable for Laser Surgery, a date will be determined for the procedure, as well as the full pre-treatment consultation.